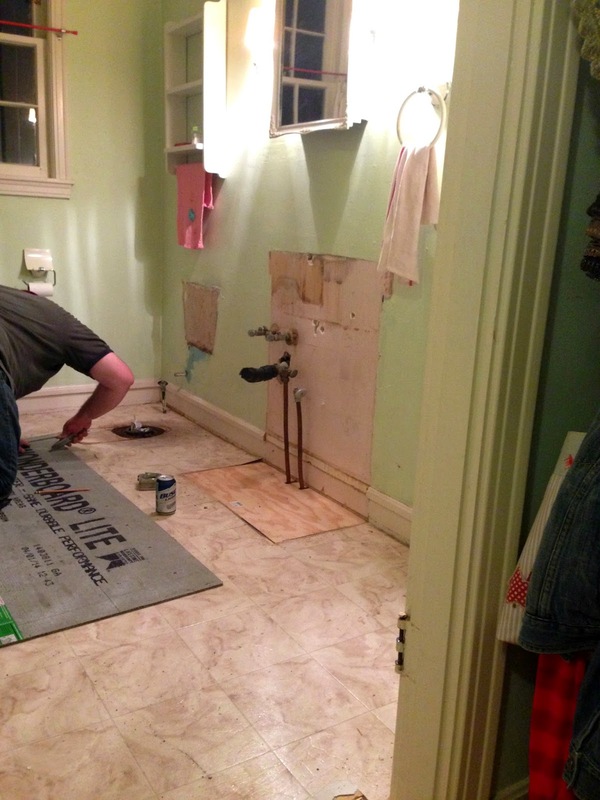 Around our beautimess house, the past two weeks have primarily been consumed with our bathroom upgrade project. We can see the finish line but we are not there yet. (Have I mentioned how grateful I am that my sister Jemimah and her husband Adam live less than 5 minutes away? Their toilets and showers have saved our bacon multiple times! )Since we are doing 99% of the work ourselves I thought I would give you a little look into what we are doing and share a bit about what I have learned so far. I love this faucet. I wanted something modern to contrast with the cottage-y vanity and I think this did a good job. Plus it wasn’t a budget buster. Great out-of-a-box vanity. Beadboard keeps it cottage, clean lines keep it modern, and the taller height is a welcome change from our previous 1950’s vanity. Oops! Paint. $9 on the sale rack. It’s exterior paint but I figured in a bathroom what does it matter? Also it is a lot thicker and goes on super smooth. Thinkin maybe exterior paint is the way to go even inside? 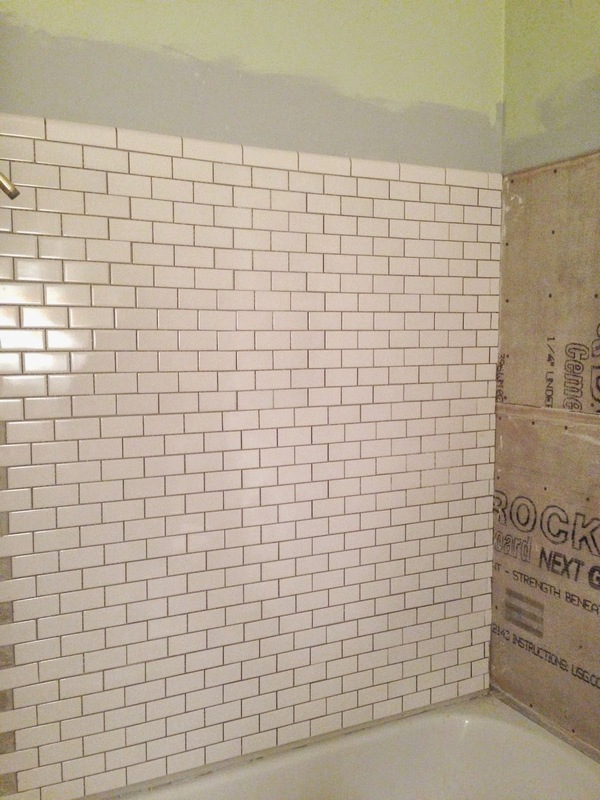 Still left to do: Grout shower, change out vent cover, paint trim, add shower hardware. Tools: This requires a lot more tools than you would think. Be prepared to spend a chunk of change on things like trowels, gloves, buckets, spacers (if needed,) grout shavers and other random tools that you think you won’t need, but you probably will. 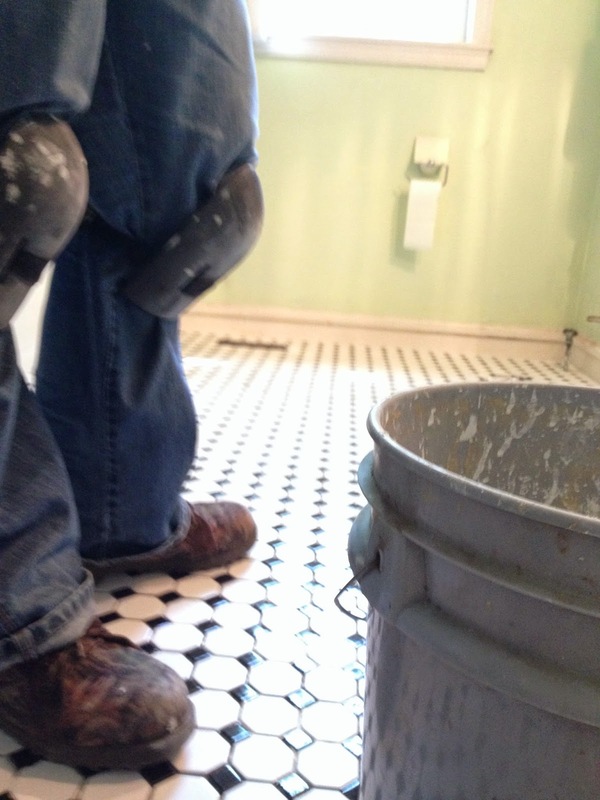 Grout and Thin set Color Choice: Unless you are an expert tiler match the grout to your tile. This will mask all sorts of imperfections in your tile job. Trust me. 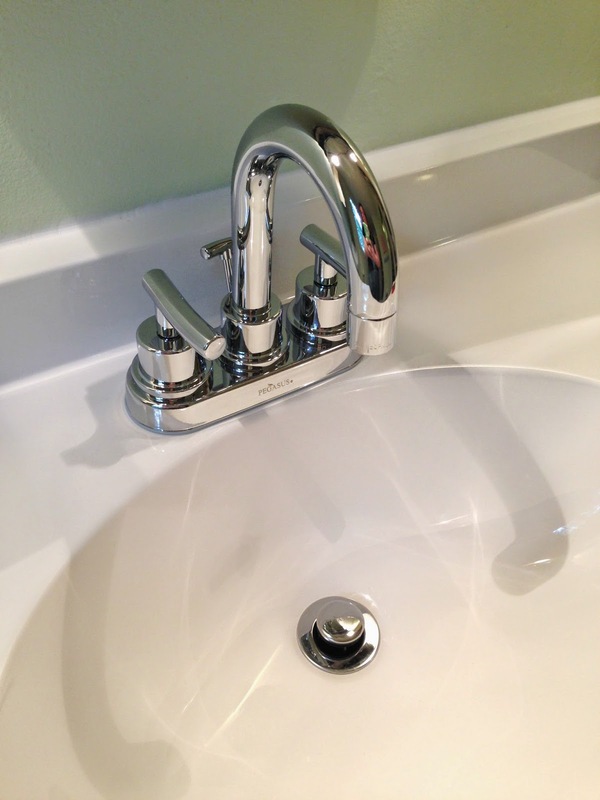 Also choose a thin set that is as close to your grout color as possible. 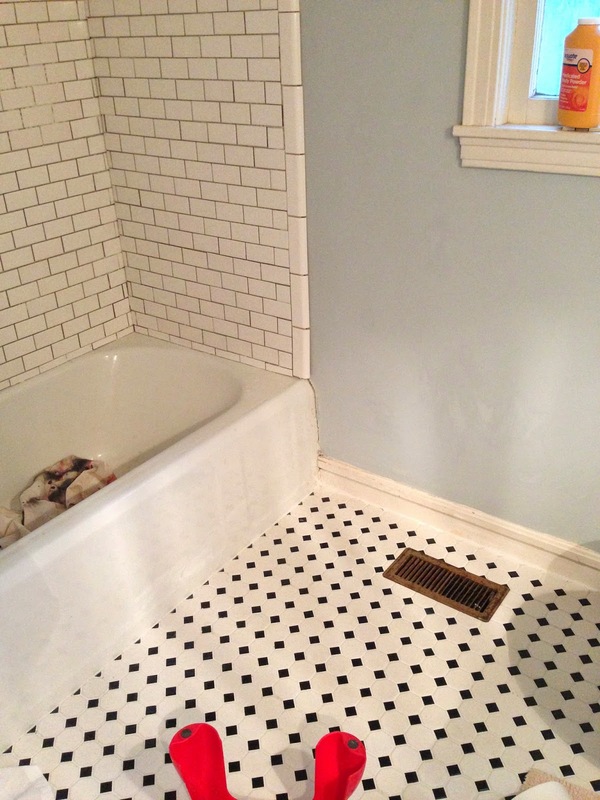 Tiling Sheets: We used mosaic sheets for both the floor and the shower. The good part was it made the job go faster. The bad part was that sometimes it was harder to get the lines all straight and even, because the sheets themselves were not always level. So just be prepared for that. If you are extremely OCD about lines being perfect you may want to pass up the sheets of tile for individual tiles, despite the longer installation. It’s all about what you can live with. Buttering: It’s a thing. As is back-buttering. Look them up. You will need them. Water Bucket: Keep a water bucket and a big ole sponge handy to wash off your hands and a grout brush to clean excess thin-set as you work. Depending on the thickness of your tile etc. you may have to shave doors in your bathroom down so that they do not get stuck on your new (higher) floor. You may also have to shave your door frames at the bottom. They make a special tool for this too. While Sweet Man and I love vintage and reclaimed items we are not sure the buyers of this house will feel the same way. 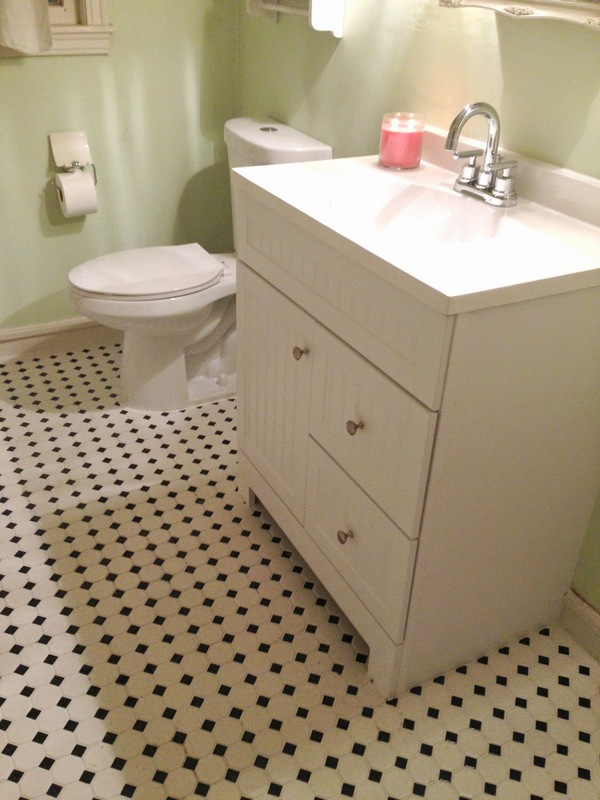 So we have gone big-box store all the way with this bathroom. 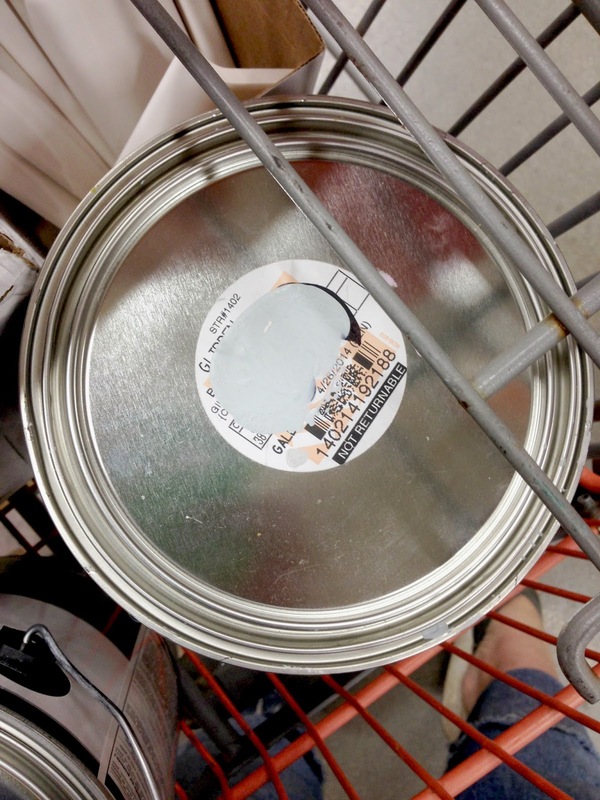 We have chosen mid-range priced items from the major home improvement stores because I wanted the room to match the era of the house and look nice, not just like we chose the cheapest version of everything and threw things in regardless of style or function. We have also left some of the original features such as the moldings, beadboard closet door, and medicine cabinet to give the room some character. Also our tub itself is in great condition and is cast-iron so we are leaving it as is, just cleaning it up a bit. The one thing I would have done differently is that I would have painted right after demo instead of waiting till the toilet and vanity were installed. It would have been much easier to paint a completely empty room. So that is our progress thus far. Hopefully by next Monday I will be able to show you the completed bathroom. Thanks for following along this adventure with us!